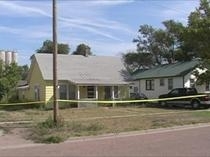 The Haskell County Sheriff says the man found dead outside of his Sublette home likely died from accidental causes. Authorities first responded to the home on Carson street around 2 p.m. Sunday. At that point the sheriff said they were still investigating and had not ruled out homicide. The KBI was also called in to investigate. The initial autopsy report on the victim, Daniel Hughes, 45, indicates his death was accidental. The final pathology report is not yet available, so authorities are still investigating.